Revolution Slider Ошибка: Slider with alias home-4 not found. 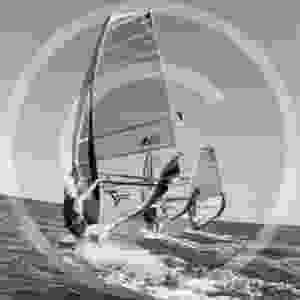 Windsurfing is a surface water sport that combines elements of surfing and sailing. Windsurfing is the laid-back culture of surf sports. Windsurfing offers experiences that are outside the scope of other sailing craft designs. 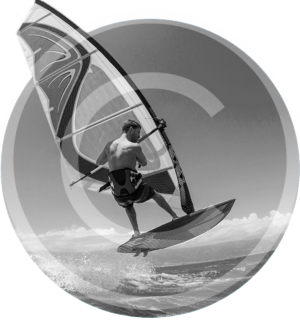 Windsurfers can perform jumps, inverted loops, spinning maneuvers, and other «freestyle» moves that cannot be matched by any sailboat. Windsurfers were the first to ride the world’s largest waves. Помимо серфинга вас ждут отличные экскурсии и развлечения. На любом уровне катания с вами будет работать инструктор и гид. Комфортное размещение на любой бюджет. Introduction to the gear, getting used to the windsurfing board without and with the rig, up hauling the rig, start.